Yes, a picnic! That sounds perfect! A lovely arrangement on your card. So gorgeous! Love the patchwork! Wowwwwwwwwww! This is beautiful!! Loving the colors and the patchwork design!! This is stunning Lisa, love all the bright colors and patterns! Love that patchwork background! Beautiful card. Very fun card. I love the fun and bright colors. Very cool, love the patchwork effect. 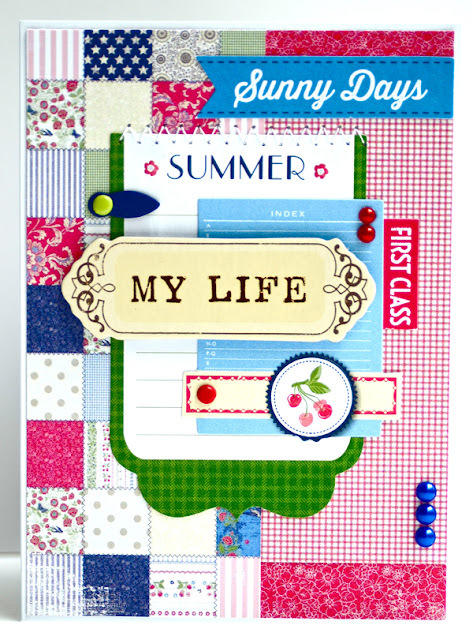 love this collection Lisa, and the patchwork effect you created. What a fun, colorful card. Love the patchwork! Very nice. I like how the green makes the sentiment portion in the center pop out. Wow, Lisa, just gorgeous. Love the quilted look and the added embellishments. 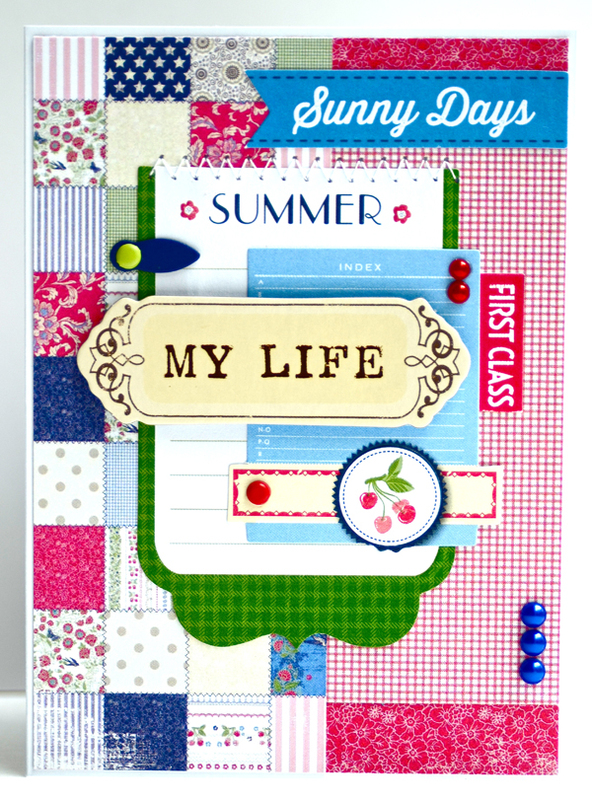 Beautiful layers, love the patterns in this collection, great card! I can see that being a great way to use up scraps! Love it! The minute I saw it, I thought of a picnic. I really like the mix of all the patterns and colors. It looks great! Love that quilted patterned paper on your card, Lisa!! The way you pulled it all together makes it feel like a quilt all by itself. Love it. Love this card!!! I was just playing with this collection myself....one of my new faves!!!! Super cute card. Love all the layers, esp on the journaling card. ooooh - loving the quilt feel of this!! !